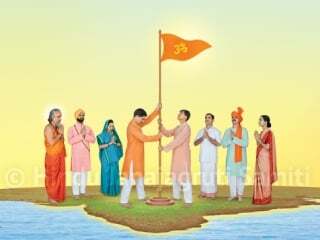 Mumbai : Progress, materialistic as well as spiritual, is possible by following the Principles advised under supreme Hindu Dharma. 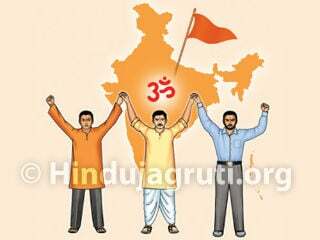 Hindu Dharma never creates terrorism. Chhatrapati Shivaji Maharaj established ‘Hindavi Swarajya’ due to Guru’s grace and chanting his ‘Kul-Devata’s name. Presently, opposition by unrighteous people is increasing. Virtuous people should also undertake spiritual practice and unite for creating ideal government, was the appeal made by Shri. 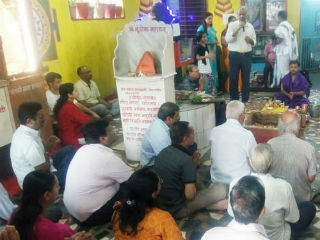 Ravindra Prabhudesai, Managing Director of Pitambari Group of Industries while addressing regional Hindu Convention organized by Hindu Janajagruti Samiti (HJS) on 23rd November, for Mumbai, Thane and Raigad Districts; with the aim of working towards the mission of establishing Hindu Rashtra. Shri. Balwant Pathak of HJS read out the message sent by ‘Paratpar Guru’ Dr. Jayant Athavale for this Convention. Shri. Durgesh Parulekar, a committed patron of Savarkar and a senior writer also attended the Convention. 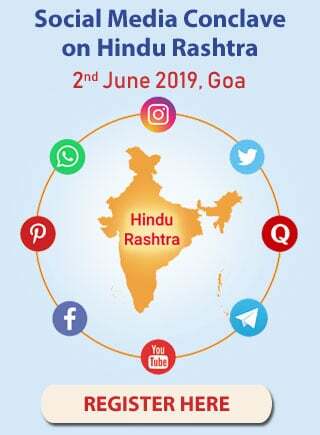 77 devout Hindus, including advocates, doctors, journalists and businessmen, representing various pro-Hindu organizations, spiritual organizations, Sects and local committees attended the Convention. After attending group discussions, advocates resolve to take active part through the medium of HVP ! Advocate Rahul Chaturvedi showed interest in taking initiative in cases to stop conversion of Hindus; giving information on action which can be taken for prevention of conversions and making use of Right to Information (RTI) Act for ‘Dharmakarya’. Advocate (Sou.) Sudha Joshi said that the Convention was motivating advocates to give legal fight for protection of nation and Dharma; showing her readiness in joining related activities. 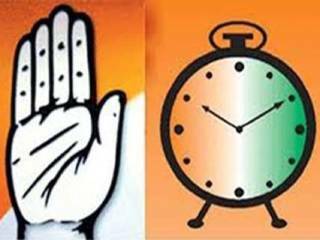 It was also decided to meet once in a week for deciding future course of action. Outcome of regional Hindu Convention ! 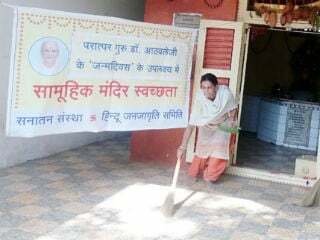 Compared to 5 regional Hindu Conventions held earlier, there was faith generated among devout Hindu activists participating in the 6th Convention held on 23rd November that God is going to establish Hindu Rashtra and the importance of spiritual practice realized by them, was the foremost outcome of this Convention.